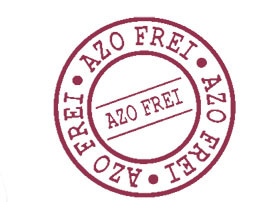 Since the middle of 2010, the so-called "Azo food colourings" have to be marked with a warning, Dreidoppel has therefore completely revised the range of colourings. The new food colourings “PLUS” are free of Azo colorants and make each creation as always an eye catcher in your counter. Subject to declaration: approved acc. to § 3, para. 1 and § 7 of the German regulation on additives (ZZuLV) of January 1998 to colour and achieve colour effects on certain foodstuffs whilst complying with the maximum specified dosage. Subject to declaration: approved acc. to § 3, para. 1 and § 7 of the German regulation on additives (ZZuLV) of January 1998 to colour and achieve colour effects on foodstuffs. Please pay attention to the restrictions for specific product regulations as well as § 11 of the German law on food and animal feedstuff (prevention against fraud).